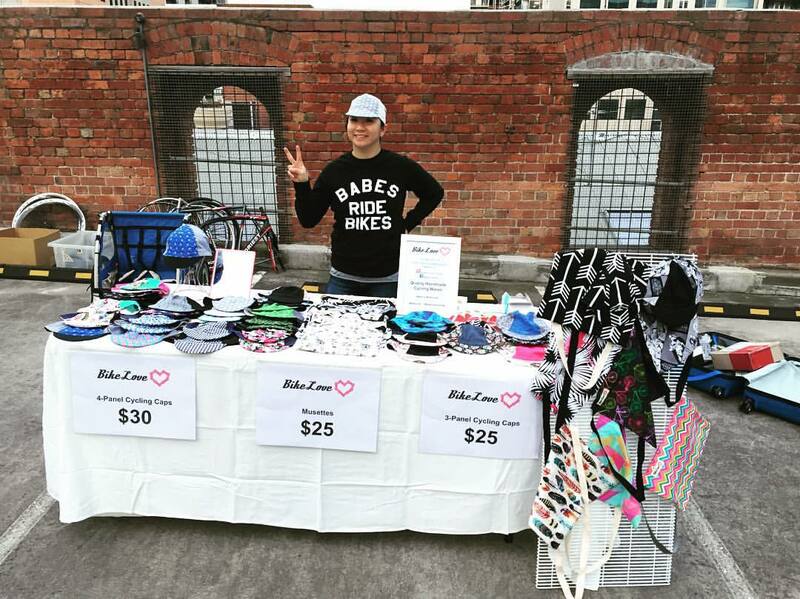 On Sunday, I did my 5th Melburn Roobaix event organised by FYXO. A few months ago, I put a call out on Facebook to purchase the Melburn Roobaix tickets when they were released online as I was in work meetings. Luckily a friend who was on school holidays could buy them for me. As part of this year's entry pack, we received a FYXO Snood which I had used prior to the event, a couple of stickers and the tickets itself. I have always loved the Melburn Roobaix entry packs, you always receive something which you can use on the bike and/or souvenirs. The 2017 edition occurred on the 25th June. The event started with registration between 9-10am. The Canadian and I parked at our usual spot at Abbotsford as it is between Hawthorn and Brunswick and allows us to park the whole day. The Canadian rode a shop bike (TCR Advanced) and I rode my CX bike for the 4th time. As I ride my road bike 99% of the time, the CX bike, the Liv Brava certainly feels like I am riding a 20kg steel horse. The day started out pretty cold so I started the day with my pink woollen gloves, pink gilet over my long sleeved roubaix jersey. I had 3/4 knicks on as I was sure that I would not be too warm and requiring to take off knee warmers if I had worn them with a standard set of knicks. We arrived at the Hawthorn velodrome around 9:30am and picked up our musettes, chatted with a few friends and then we started off our day. This year, there was 12 sectors again but I noticed that the routes are shorter and didn't go to towards North Melbourne or Flemington. We completed 3 sectors and stopped for a coffee and a snack at Mavis the Grocer as we didn't have a proper coffee in the morning as we ran out of milk but it also allowed for the crowd to spread out as it was getting really hectic on the roads as well as along the cobbled laneways. It wasn't too sunny throughout the day but luckily it wasn't raining or windy. We rode along the bike trails at a comfortable speed and finished most of the sectors. We had a quick stop at the section where they gave away free butterbings! Butterbings are these soft brownie cookie sandwiches which are gluten free. They are mix between a macaroon, a brownie and a cookie sandwich. They are delicious! After 3 more sectors, we realised that we were 2 hours early for the end of the event so we decided to stop again for a late lunch at Cornerstone Pizzeria. We ordered the "cornerstone" pizza but I didn't really like it as the pizza was so soggy from the marinated peppers but luckily it was a tasty pizza and I had 2 pieces. The last 2 sectors were just across the creek from the pizza stop and we arrived at the Brunswick velodrome around 3pm. I didn't ride up too high along the velodrome as it looked so steep! A bit too overwhelming for me. After a lap, we parked the bikes within the Bicycle Network bike parking sections and went for a walk within the velodrome to see what tents were there. The Canadian and I took some photos within the photobooth before waiting in line to get a coffee prior to the end of the event where the prizes were announced. The grand prize was cold-hard-cash and the cobblestone trophy rather than the trip to Paris-Roubaix this year. Some of the efforts people go with regards to costumes for the day is pretty good. Some people "make" a bike to ride. One of these notable bikes was from a guy called Jacob and he made a bike around a bed frame. I was actually close to him at a small section of the day and the way he gets on the bike, the way he rides and how he hops off is amazing!